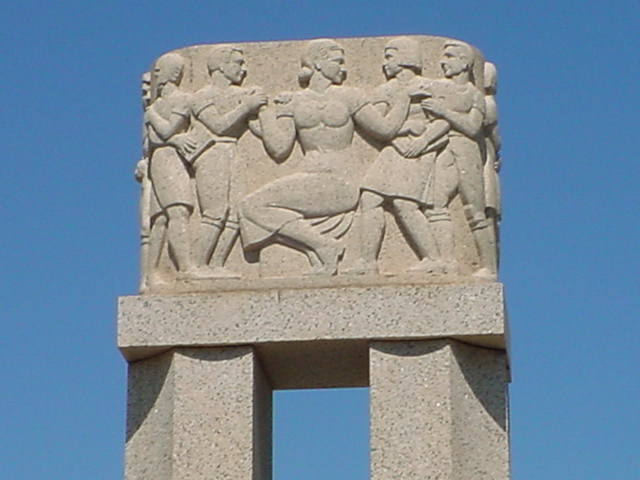 In December 1938, a contract for the building and erection of the monument was awarded to the Premier Granite Quarries of Llano, Texas. Donald Nelson of Dallas, Texas, was appointed designing and supervising architect for the project. After a competition in which seven Texas sculptors submitted preliminary models, Herring Coe of Beaumont was awarded the task of making the model for the sculptural block. The sculptural block of Texas granite depicts twelve life-size figures, representing children coming to school, bringing gifts and handing in homework to two teachers. The massive granite block weighs twenty tons and is seven feet high and four feet thick. 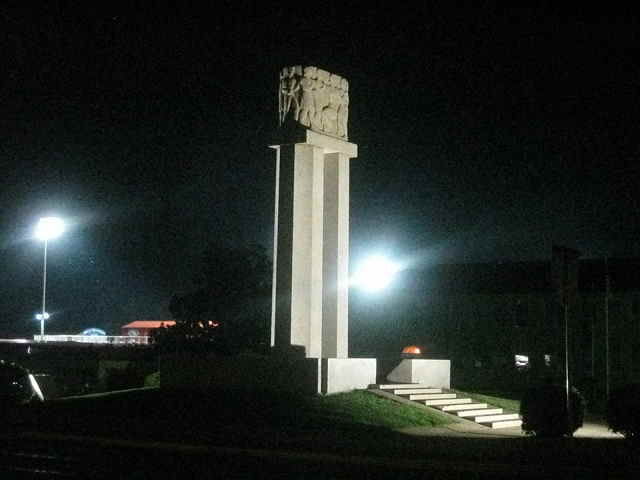 It is supported by two monolithic granite columns with fluted sides. These twenty feet high columns rise from a granite platform which is reached on two sides by granite steps. Overall the cenotaph monument is thirty-two feet high. Around the inside of the base are the individual names of those who died. 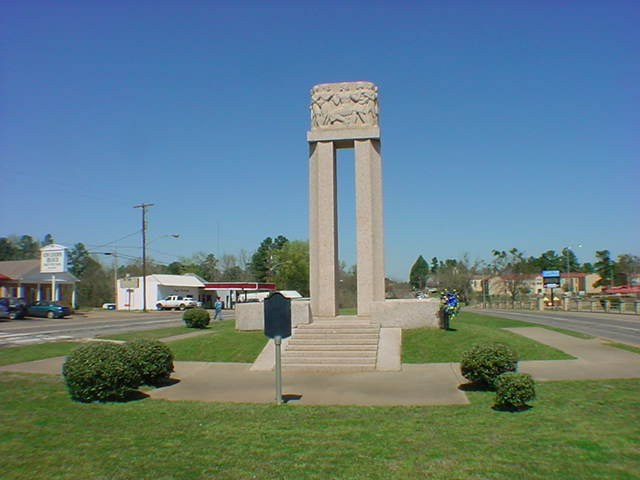 Rusk County has a number of monuments erected to the memory of persons and events. One such monument is the cenotaph which stands in front of the London Campus on Texas Highway 42 and is a silent tribute to the two hundred ninety-three students, teachers and visitors who lost their lives in one of the nation's worst catastrophes on the afternoon of March 18, 1937. The names of the victims are carved on the monument. Since the victims are all buried in places other than the explosion site, "Cenotaph," a Greek word meaning "empty tomb," is appropriately given to the monument. 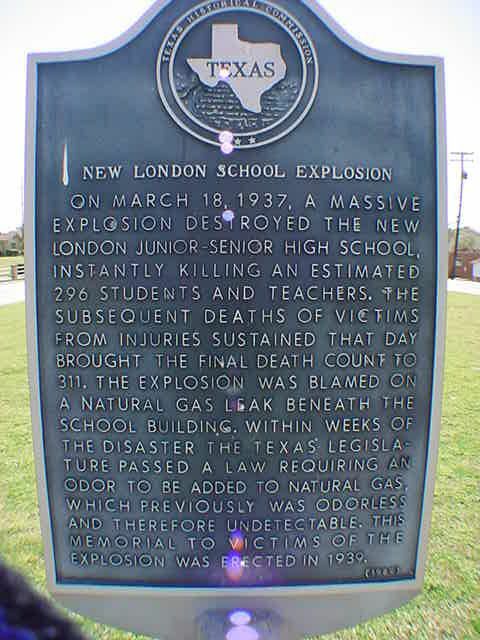 On March 26, 1937, a group of people who were residents of the London School District met at the London Elementary School Building, which had escaped the explosion that had demolished almost the entire London School Plant, and organized the London School Memorial Association. The association elected a board of directors composed of M. H. Marwil, Henderson; John Lumpkin, London; Mrs. Faye Beidelman, London; Mrs. Polk Childress, London; Mr. Sam Warren, Overton; Mrs. Claude Jacobs, London; Mrs. H. B. Whittington, Overton. Contributions to a fund for the memorial were received from many foreign countries and from numerous schools in the United States and Canada. Nickels and dimes were received from school children with larger amounts from individuals and corporations. 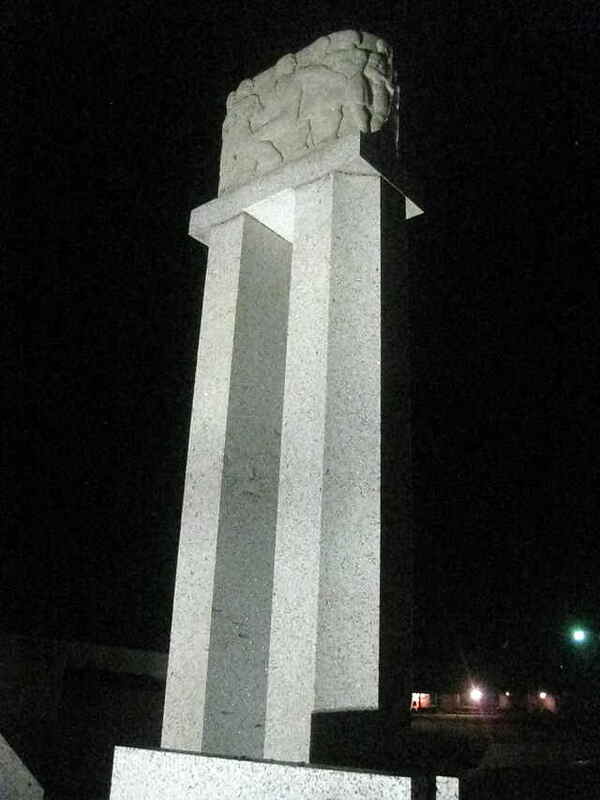 The cost of the monument was approximately $20,000. In December 1938, a contract for the building and erection of the monument was awarded to the Premier Granite Quarries of Llano, Texas. Donald Nelson of Dallas, Texas, was appointed designing and supervising architect for the project. After a competition in which seven Texas sculptors submitting preliminary models, Herring Coe of Beaumont was awarded the task of making the model for the sculptural block. 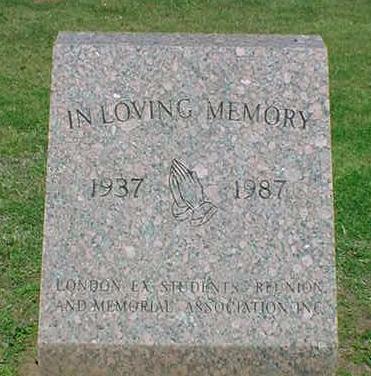 The London Ex-Students Association placed a marble stone in March 1987, commemorating the fiftieth anniversary of the London School Explosion on the north side of the Cenotaph. Recently the Historical Commission of the State of Texas has approved for the City of New London to purchase and place a Texas Historical Marker at the Cenotaph. Naomi [sic] Jewell Smith has been recorded as one of those who perished in the explosion. This information is documented not only in official records, but in the engraving at the base of the cenotaph. Noma (correct spelling) Jewell Smith survived the disaster and later married Billy Conley. She died on January 29, 2000 and is buried with her husband at Williams Cemetery, New Chapel Hill, Smith County, Texas.